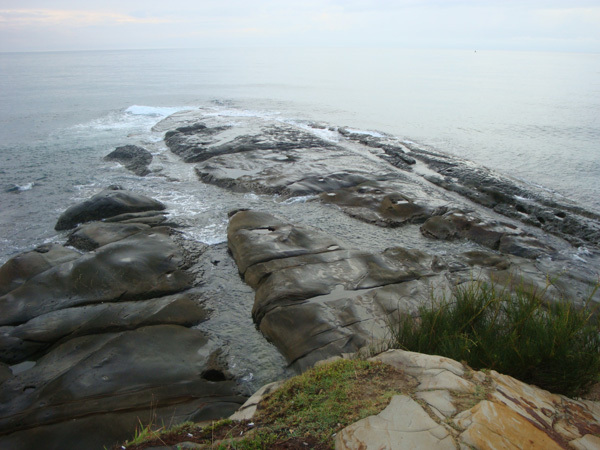 This is Tanjung Simpang Mengayau (lingering junction cape), the most extreme tip north of Borneo. It is a picture of nature at its almost exquisite pristine beauty. Almost, because human beings have been here and have left their marks of tar, cement and bricks. But where humans have left it untouched, it is a sight to behold: clear waters of the South China Sea lashing gently against the protruding tongue of the land mass, throwing up white foams of bubbles which hurriedly try to catch up with the retreating waves. There is a short cliff rising about twenty or thirty feet from the beach of white sand. The years of the incessant pounding from the waves on the cliff wall have left it with a hive-like pattern of concave depressions. The horizon is only a disguise of a line separating the blues of the sea and the sky. It has not been raining for almost two months now (well, maybe even more than two months in some parts). The grass is parched brown everywhere and spots of bushfire flare up across the country as if by spontaneous combustion. Worse, the rivers are drying up; dams and reservoirs at near their critical levels. 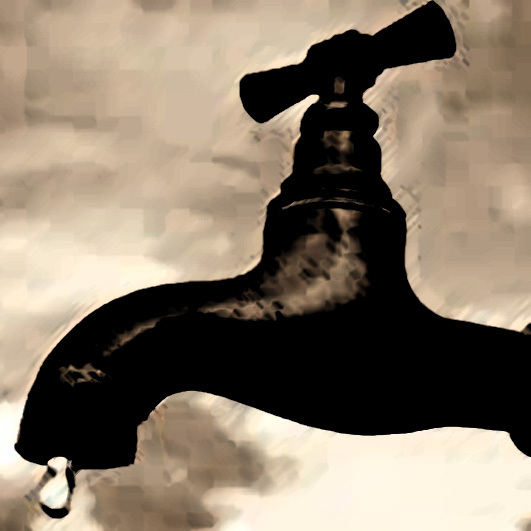 In some places, the taps have stopped flowing completely. Those affected are grateful for the buckets they can fill up from the relief water tankers that come by each morning or evening; but then, they groan under the weight of those same buckets of water because they have to carry them up three, four or five stories high each day for more than nineteen days now as of this time of writing (end of February 2014). And there is no knowing how many more days this will continue. Water - cheap and plenty in this land of the monsoons. And as they say, when it rains it rains cats and dogs and there is no stopping it. It is ironic then for a country that enjoys so much rainfall annually that it should suffer from a shortage of water when there is a hiccup of a drought. Where has all the water gone to? A shade of Bob Dylan here, ha (or, maybe the Beach Boys)!? There is time and opportunity still to change the course, to turn the tide. Let us repent of our wasteful ways. Honour nature. Use less and conserve more. Whenever possible, recycle. Let us be true keepers of the mandate God has given us: rule over the fish of the sea and the birds of the air, over the livestock, over all the earth, and over all the creatures that move along the ground (Gen. 1:26). Rule here, in context, does not mean to exploit or to abuse; but to govern as to care.